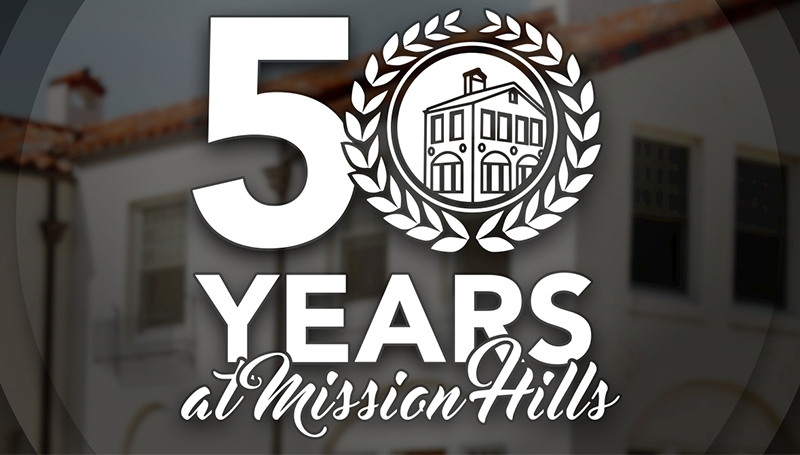 Missouri Southern will celebrate its 50th anniversary at the former Mission Hills estate in Joplin with a formal rededication of the campus at 10 a.m. Friday, Oct. 27. All past and present employees, students, supporters, as well as the general community are invited to attend the event, which will feature some of the descendants of the institution’s forefathers. Missouri Southern Community Historian Brad Belk will review the years when the school left its downtown Joplin Junior College home and moved to the 230-acre Mission Hills estate. Family members of the key people from the mid-1960s will share their memories, and Sen. Ron Richard will present a proclamation in rededication of the campus and university. Following the remarks, the MSSU President and the descendants of the founding fathers will light a lantern representing the university’s primary symbol of light and learning. Refreshments will be served on the Oval following the ceremony. For many years, Joplin Junior College, founded in 1937, had met the needs of the Joplin area. However, in the early 1960s, the school’s growing student numbers made it clear that a larger, more comprehensive educational institution was needed in the Joplin area. Thanks to an initial gift of $100,000 from George A. Spiva, the Mission Hills estate – located east of Range Line at the intersection of Newman and Duquesne Roads – was chosen as the new location for the college. The estate included a Spanish-style mansion surrounded by elaborately landscaped grounds. House Bill No. 210, the legislation which created new colleges in Joplin and St. Joseph, became law in 1965. In the next years, the construction of the first buildings on the new campus began. The first buildings to go up included Spiva Library, Hearnes Hall, the Math-Science building (soon to be named after board member Lauren R. Reynolds) and the Fine Arts building, also named after Spiva.